Holiday cottage for 4 to 5 persons of style chalet, situated by the lake by Serre-Ponçon. You will appreciate the sun in an exceptional environment. Rent a beautiful apartment in the mountain resort of Serre Chevalier in the Southern French Alps. Accommodation for 4 persons with kitchenette, on the ground floor with sunny terrace. Hiking, climbing, mountain biking. 3 stars holiday residence situated on the banks of the lake of Serre-Ponçon, at the foot of the National park of Encrins... the residence benefits from a really privileged situation, at the same time quiet and close to various centers of interest, with an incomparable view. Your village proposes you in the choice an accommodation among 75 chambers (2 in 3 beds) or the rent of apartments all comfort (4 or 5 beds) and an open restaurant due south, on mountains. 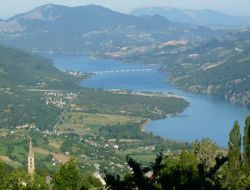 Holiday cottage puts into verse with relaxation, nature, flora, fauna, hike, mountain bike, strolls, ski, snowshoe, paragliding, happiness to sleep in the peace, the nature surrounds you and the view on the magnificent Lake Serre-Ponçon. Holiday cottage in independent wing, style chalet, atmosphere caresses, on 2 levels, bedroom on the 1st floor, and the sun. 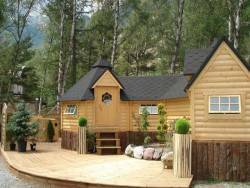 Unusual stay within our Kota Finlandais, in the Hautes-Alpes, at an altitude of 1200m, in only 5km from Serre Chevalier. Implanted in the hollow of mountains, surrounded by a green nature, you can find quiet and serenity there! To the Iscle de Prelles, you will find all that you need for an unforgettable stay: sun, amazing landscape and visit of the heritage. 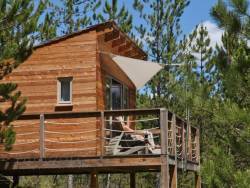 Rent of huts on piles spread in a 6 hectare park at the heart of the regional natural reserve of the Provençal Baronies. A natural allying dumping, a peace, a comfort, an elegance, a peculiarity and services, a security of a real bracket. Swimming pool with terrace and sunbathing, Scandinavian bath.